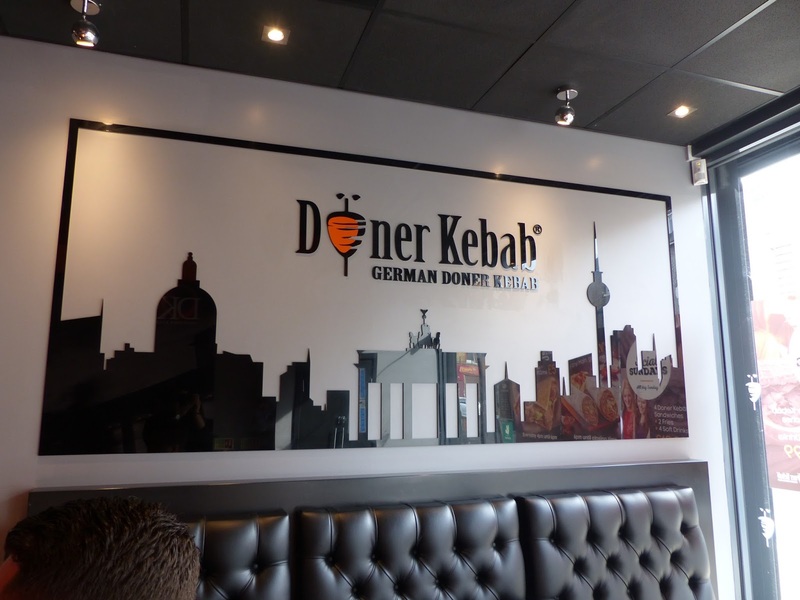 On Saturday we had the fantastic opportunity to try out German Doner Kebab, but before you read this post you’ll need to do one thing, and that is to forget everything you already know and think about kebabs. This is different, very different. 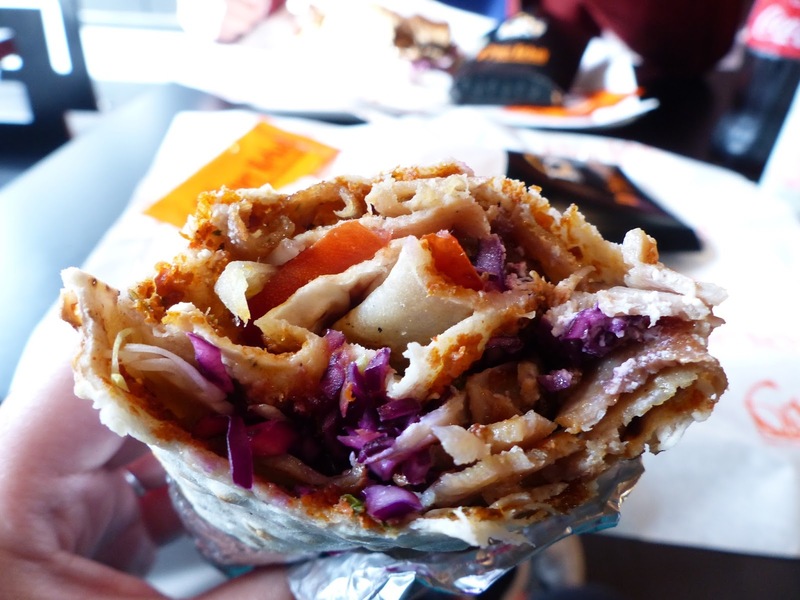 The main reason being is that they offer the healthiest kebab out there. In complete opposite ways to the average kebab operator, their meals are nutritionally sound and contain no preservatives or additives. 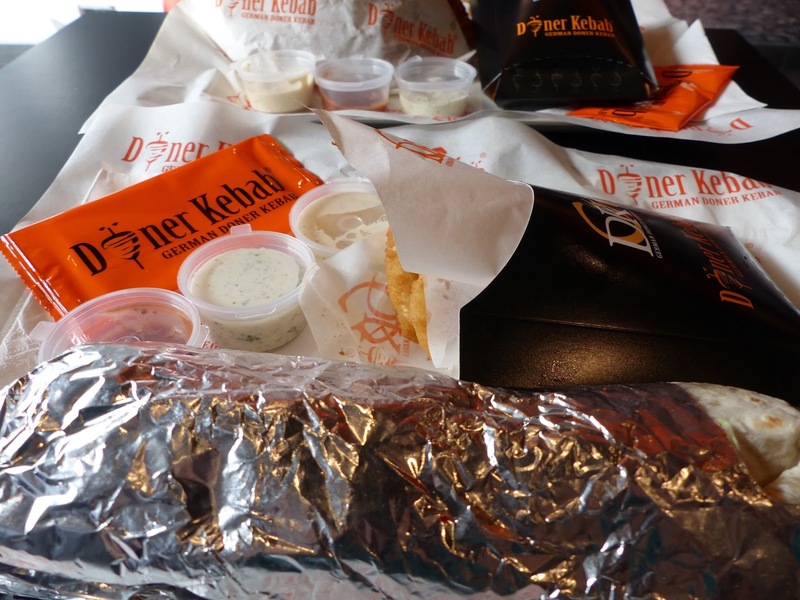 All the ingredients are of the highest quality and exclusive to the GDK restaurants. The meat used is 100% succulent beef and chicken fillets, all vegetables are locally sourced, and only the freshest bread is used. We were very intrigued and to be honest a little sceptical at the health aspects of it, so couldn’t wait to get down to their Kilburn branch last weekend. There are a number of other branches across London (Ealing, Islington, Fulham, Ilford), and are also slowly branching out to other parts of the capital, and indeed the UK. Check out all of their store locations here. When we first stepped foot in the restaurant, we both saw similarities in terms of layout and feel to the Taco Bells we have been to in Sheffield, this being a good thing of course! Electronic boards displayed the menu options, the kitchen was in view and just behind that, with the tills in front. There was plenty of seating, but there is also the option to takeaway, or even order via Deliveroo and Uber Eats. The store manager, Fahad, greeted us very warmly and treated us fantastically throughout. This being the other major factor which separates them from the average fast food brand. As we all know, service often severely lacks in the fast food sector, but although you do pay through it as the prices here are slightly higher than the usual, it is well worth it. It’s almost blurring the lines between fast food, and relaxed restaurant. Fahad recommended the signature dish which I, James opted for, and Jessica went for another recommendation of the Durum Doner Wrap. 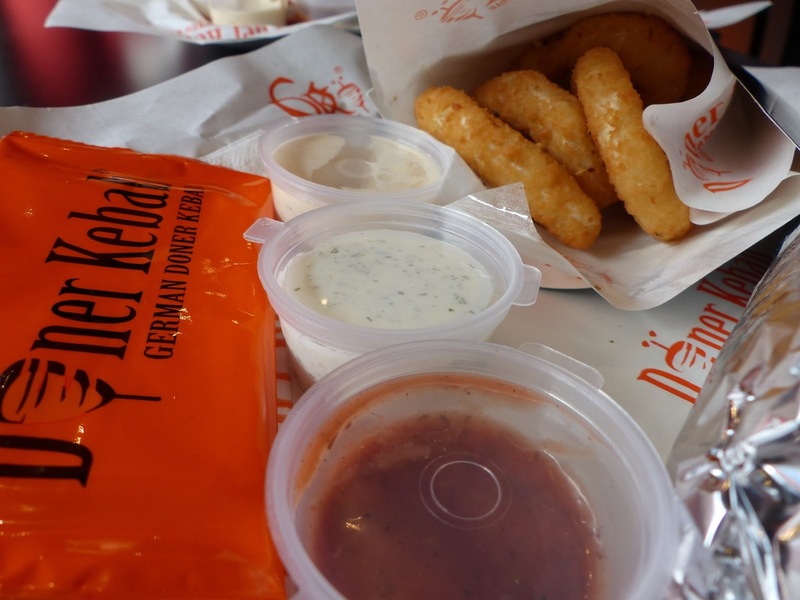 Both came with either fried or onion rings, and also additional sauces and ingredients are on offer. First of all, I’ve never had any type of kebab before, so I can’t benchmark it against the typical kebab offering, but regardless, I only have good things to say! The meat was as they said, succulent, and sauces and salad packed it out and made for a very filling lunch time meal. I am quite a messy eater on a normal day, and as you can guess from the picture, it ended up all over the place, but the tray, tissues, and anti-bacterial hand wipe which came with it made everything okay in the end and saved me from embarrassment! Their are clearly great initiatives they have to attract different types of people to the restaurant to. They have a ‘Social Sundays’ campaign which includes 4x kebabs, 2x fries and 4 drinks for £19.99, 2FOR1 Tuesdays, and meal deals at certain times in the day. We were already having talks about bringing a couple of friends down on a Sunday to make the most of the offer, or simply just coming back for ourselves and trying out more items on the menu. We have to say, whilst it is the healthiest that is on offer, it’s not as healthy as we thought in the build up to coming. This as you may guess from the pictures of fries, onion rings and side sauces. But it certainly is all high quality ingredients, and most of all, tasty and it was a very enjoyable lunch outing. They do some awesome deals!!! 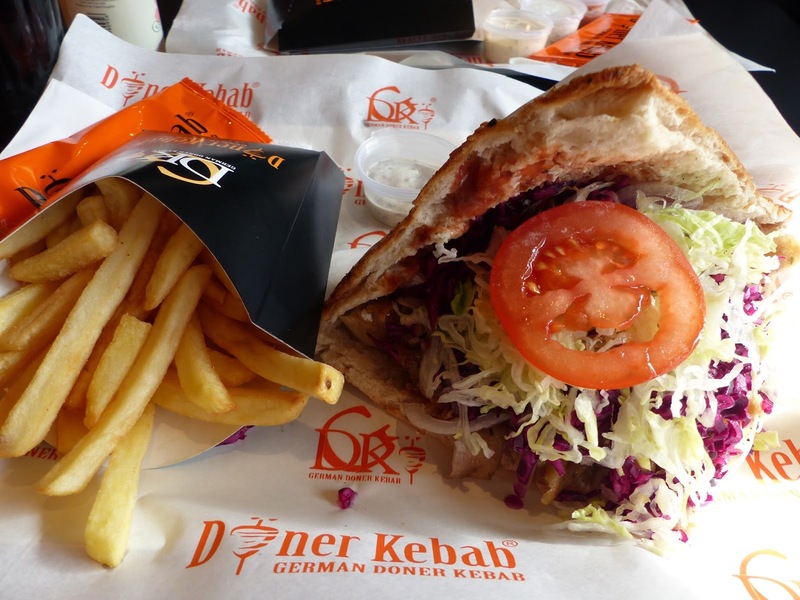 I love a good kebab so hearing about German done kebab being a healthier alternative gives me life!!! I love the look of the food here and it sounds like they really care about the customers too! That food looks amazing! Also the photography in this post is lovely! Food looks amazing! Wish we had one in South Africa!